How do I Create an SEO Keyword Strategy that Works? In this post we cover how to create a viable keyword strategy with the right search terms based on your business goals. This can be used to inform an effective content strategy. These days, organic SEO is all about creating the highest quality content that is actionable and informative around a specific topic. While your content will no doubt contain keywords referencing said topic in places like heading tags and body copy, search engines are well-versed at filling in gaps about content topics without needing to be bludgeoned by keywords. Keyword research can never—and should never—be used as a crutch for poor content quality. However, exercises like those described below, can play very important roles in helping you define and measure your content strategy as well as mapping your content topics to real users’ needs. Words matter. That said, if you’ve never had to come up with a keyword strategy before, it might seem a bit daunting to generate a list of terms that will drive qualified search traffic to your website. Not to worry. Creating an effective keyword strategy—figuring out which terms you should create content for—isn’t hard. It just involves a little bit of reverse engineering and some research. Whatever your website goals are—and you likely have more than one—use them to frame your keyword strategy: what is it that people search for when they’re looking to do exactly what you want them to do on your website? Making a chart always helps. This one contains sample goals from different types of websites, which will give you an idea what your website goals, visitor goals, and search terms might look like. Potential search terms generated from common website and visitor goals. To create a similar chart, start with your website goals and map them to a potential visitor’s goal. For example, you may want to generate more event space inquiries, which means potential visitors to your website would likely be searching for an event space. Now ask yourself: what do people searching for an event space type into Google? If I were looking for this type of product or service, how would I search for it on the web? Answering that question will help you generate a nice list of potential search queries, and magically all of those search queries contain keywords. Here you see the average number of monthly searches is higher, meaning more people search for the term “cheap renters insurance” than the phrase “renters insurance quote.” So if you want to generate more search traffic, optimizing a page for the phrase “cheap renters insurance” could help. However, if “cheap renters insurance” doesn’t match your brand, then don’t use a phrase with higher search volume just to get more traffic. You want to attract more qualified leads not just more traffic. If your page more accurately matches a searcher’s intent, lower search volume could actually provide a higher number of qualified leads even though it may not generate as much overall traffic. In other words, if a keyword or search term doesn’t match your brand standards, don’t optimize for it, no matter how much traffic it could potentially drive. Use Google Keyword Planner and your list of potential search ideas to create a list of terms/phrases that align with your brand and that, ideally, aren’t highly competitive. Google ranks competitiveness in Keyword Planner, seen above. You can also get an idea of how competitive a keyword search is by looking at the price of the suggested Adwords bid. Competitive search terms are typically much harder to rank for. If you’re having difficulty coming up with solid ideas, you can always use Google’s autocomplete function to see related popular search terms. Just keep in mind, like any robot, it’s not perfect. Try using Google Autocomplete to see other popular terms related to your keywords. Finally, if you already have a website, you can also use Google Search Console to help you figure out which search terms you already rank for, as outlined in this post from 2 Dogs Design. Start small. Using the process above, devise a short list of keywords/phrases that you think users will search for that also match your business goals. Maybe start with 5-10 terms. You can always add more to your master list later. It can be easy to go down a deep rabbit hole with this process. There are thousands of blog posts with helpful hints (you’re reading one right now), and hundreds of tools that can potentially improve or otherwise streamline the process of researching keywords and devising a smart keyword strategy. That’s why we advise you keep things simple for starters. You can always layer on complexity as you gain experience. More than anything, good SEO efforts revolve around creating content experiments, measuring them, then doing more of what works and less of what doesn’t. Simpler is often better, especially if you are resource constrained. A good content governance strategy should dictate that you take on only as much as your resources allow. Starting small will also help you devise a repeatable process that can then be applied across a wider range of search terms as your list grows over time. If you really want to go pro, keyword management tools like Moz Keyword Explorer or SEM Rush’s Keyword Magic Tool can help you streamline this entire process and will allow you to create lists that include hundreds of keywords. Once you have a short list of keywords, create separate pieces of valuable, high-quality content, each optimized for an individual term on the list. Through the process outlined above, you aligned keywords with searcher intent. You ostensibly know what searchers commonly put into search engines to find content related to your business goals. Now, your content should actually meet those searchers’ needs. In fact, it should be your goal to create the best, most actionable content to answer a specific question a target user might have as possible. Here’s where artifacts like user personas may come in handy. A persona should clearly outline what potential customers want and how they plan to get it. It’s your job to map their needs to content you create, using the list of keywords as a guideline for topics. That said, since they’re based on assumptions and not real user input, personas shouldn’t be a replacement for user research and testing. If your buying cycle is long and complicated, a customer journey mapping exercise could also help you identify wants and needs during individual steps of the cycle. Software service Autopilot HQ has a great post about how to map content to customer needs throughout their journey. Improve your posts with Yoast’s SEO plugin for WordPress. Need some keyword strategy help while actually creating your posts? If you use WordPress to manage your site content, the Yoast SEO plugin analyzes each post and offers suggestions for improving page content as you prepare your post for publishing. While it’s not a silver bullet that will guarantee good results, it does offer helpful tips for improving your post once it’s in WordPress. Once you’ve created actionable content around one search term, lather-rinse-repeat for the others. And don’t create two posts that try to rank for the same search term. One really good post will likely perform better than two so-so posts. It is worth noting that sometimes organic SEO efforts aren’t enough to produce the results you want. In some cases, good organic SEO can help you better optimize keyword spends in AdWords too. SEO and PPC can work well together. You just need to find the right formula. Of course a good keyword strategy isn’t really effective unless you measure its results. But that’s a post for another time. Keyword research can be a mysterious process to some, yet it doesn’t have to be. With the process outlined above, you can create a simple yet effective keyword strategy to jumpstart your content creation efforts and drive real business results. Need some help? Mightybytes offers a variety of SEO services, Search Engine Marketing (SEM) services, and digital marketing services geared to help our clients generate more qualified leads from their websites. Don’t want to do this yourself? Check out our guide on how to vet and hire an SEO agency. Or just drop us a line. Note: This post was originally published in 2014 and has been updated to reflect current SEO and content strategy techniques. 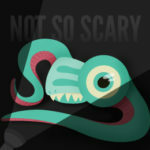 Not-So-Scary SEO: How Can I Tell Which Keywords My Competitors Rank For? Not-So-Scary SEO: How Do I Rank for Multiple Cities? 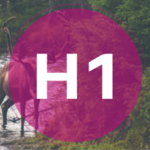 Does My H1 Tag Always Have to Be Optimized for Search?